Internet of Things has become what the cloud was ten years ago. VC executives can’t hold meetings and webinars without talking about IoT and how it’s changing the world. Schools, game developers, insurance firms and the media have all figured out ways to use the technology. For a few industries though, including gambling, embracing IoT is easier said than done. Sure, Las Vegas casinos have access to smart mirrors, smart lighting systems, and digitized security devices, but the use of IoT in actual gambling is very limited. Still, there are glimmers of hope as developers continue to test AR and VR devices on gaming. Find out more of how IoT is affecting gambling all around the world. Smartwatch casinos are a real thing. First conceptualized in 2014 by Microgaming, casinos on smartwatches looked like a farfetched concept. In 2017, Microgaming revealed its first smartwatch game, wowing tech-nerds and silencing naysayers all over the world. In true Microgaming fashion, their brand’s first smartwatch game was a slot game simplified and shrunk in size to fit a small watch. Being the first game in that field, the developers chose a simple interface with a limited number of features. Microgaming isn’t the only developer tapping IoT to avail games to smartwatch users. Casumo, Dunder and Captain Cooks are all available on Android-based smartwatches. Apple users have games like Twirlaloop slots and Slots Time. Most casinos are yet to join Apple though mostly because of its tough stance against real-money casino platforms. AR augments our surroundings while VR makes virtual images videos look real-life like. So, while playing slots at the comfort of your home, AR devices could make your surroundings resemble a Las Vegas casino. If you prefer the surreal scenery of a golf course, tweak the settings and AR does the rest. AR and VR have been touted as the next big innovations in gambling before but a slew of challenges has always derailed that. While it’s easy for Vegas-based casinos to buy the software and hardware required to integrate the technologies, it’s much harder for online casinos. Even if online casinos and game developers could make the games, it requires players to invest in expensive computers. An average laptop that handles VR costs $1200 and VR headsets cost $400 on average. For most players, the costs are just not worth it. By contrast, a regular non-VR online casino on Zamsino will match your first deposit 100% so that you can bet to as many games as you can afford with your first deposit. And unlike VR casinos, there is no need to get a new computer. Your current smartphone or laptop is enough. Brick and mortar casinos are the biggest benefactors of IoT’s contribution to security. From Internet routers to surveillance cameras, door locks to ATM machine, security systems in Vegas are smarter than ever before. Casinos don’t have to hire tons of surveillance employees anymore. Once smart cameras with the ability to detect movements are installed appropriately, monitoring rooms become easy. The cameras survey all rooms and corners. If anyone is detected where they shouldn’t, the cameras alert securities. At the ATM machines and on slot machines, there are cameras and mirrors watching you. The door locks are managed remotely using iPads while ATMs will usually take massive security breakdowns to access. Of course, the overreliance on smart devices for security has its drawbacks but it has a lot of benefits as well. There aren’t many IoT devices in gambling but the few present can change how casinos market their services. Both AR and VR headsets collect data that can be used to improve the players’ experiences. When combined with the data collected by computers and smartphones, gamers would never have to receive random ads from casinos. Better yet, progressive casinos can figure out ways to make your favorite games their main focus when marketing to you. Some companies could also come up with new games to suit the changing needs brought forth by IoT devices. 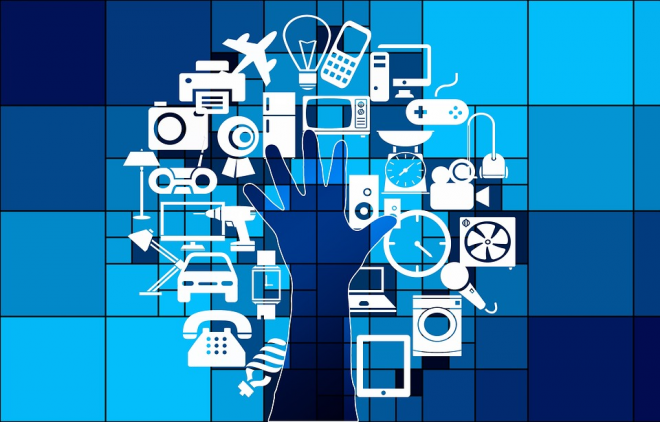 For IoT device manufacturers, the data collected by the devices will help improve the devices and the services they offer. 3D glasses share a close relationship with VR glasses. They are both smart, designed with AI technology meant to improve your experience in front of a screen. 3D glasses are less complicated and came before their VR counterparts. Unfortunately, 3D glasses didn’t succeed in the TV industry as many people initially expected. The idea of sitting in front of a TV wearing glasses to watch news wasn’t good enough for people. But when it comes to gaming, 3D games became an instant success. NVIDIA is the most successful brand in this sector with its GeForce 3D Vision product. With this kit that includes a pair of glasses, players can receive stereoscopic vision whenever they play 3D games like Battlefield 3 and Sonic Generations. In the casino industry, 3D vision glasses are being experienced with slots and live dealer games. Enchanted and EggoMatic are two of the most popular slots with 3D vision capabilities. If you love the classic movie Pinocchio, there is a slot named after it with 3D depth. Click here to view online casino slots in the UK. It is worth noting that3D games don’t have to be played using smart glasses. If you are not yet ready to spend money on expensive IoT devices, you can access and play the glasses with your natural eyes. Internet of Things is being experimented in all industries. From marketing to airplane manufacturing, sports to entertainment. All industries that use the Internet in some ways are looking for ways to exploit IoT. The gambling industry has already identified a couple of ways to use IoT, mainly VR and AR. For land-based casinos, there is a limitless number of ways to use IoT to improve services offered. IoT is heavily vested in security, for instance, and Vegas casinos now use smart surveillance devices. Of course, the technology is being advanced and more featured are expected. But if you love IoT and gambling, there are ways to you can the two together.